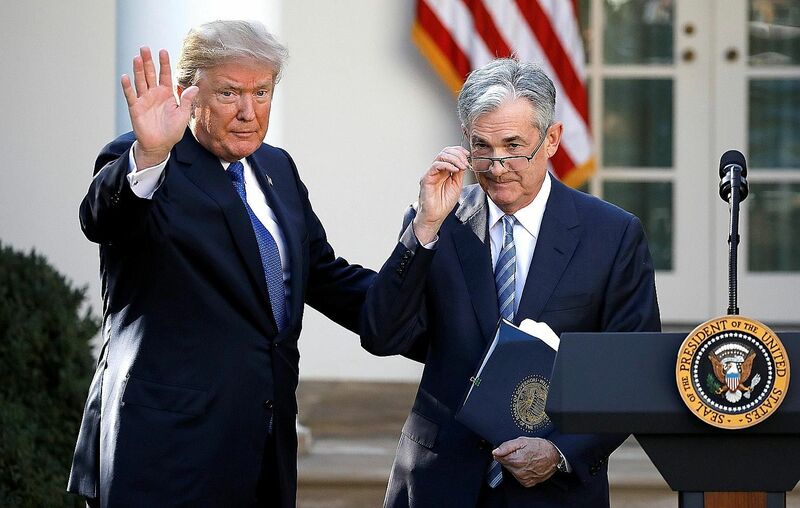 Among all the high-level appointments US President Donald Trump has made - many of them questionable - his choice of the next chairman of the US Federal Reserve is probably the most likely to ensure continuity of policy and operating style. Although he is a Republican, 64-year-old Jerome Powell is, by temperament and policy preference, not far different from two of his most immediate predecessors, Dr Janet Yellen and Dr Ben Bernanke - both Democrats. Indeed, he was first appointed to the Fed's governing board by the former Democratic president, Mr Barack Obama. Unlike the last Republican-appointed Fed chairman, Mr Alan Greenspan, who presided over the Fed from 1987 to 2006, Mr Powell is no free-market ideologue. Nor is he known to be an interest-rate hawk, like two other candidates for his job, Professor John Taylor and Mr Kevin Warsh, both of whom have criticised the Fed's low interest rate policy. He has instead hewed closely to Dr Yellen's relatively dovish views on interest rates. Last month, he told a banking conference: "US monetary policy normalisation has been, and should continue to be, gradual - as long as the US economy evolves roughly as expected." Nothing here about the dangers of quantitative easing - a pet theme of the Fed's critics - or the threat of inflation; in fact, he suggested in August that low inflation allows the Fed to be patient with raising rates. Under Mr Powell, the cautious approach to interest rate hikes is thus likely to continue, which the markets will like - and so will Mr Trump. But one issue on which Mr Powell might part company with Dr Yellen and other Democrats on the Fed board - but which would endear him to the President - is that of banking and financial regulation, another key mandate of the Fed. The global financial crisis of 2008 led to a tightening of financial regulation, notably in the form of the Dodd-Frank Wall Street Reform and Consumer Protection Act, which includes a series of measures to limit risk as well as enforce transparency and accountability in the financial sector. It also included the Volcker Rule (championed by former Fed chairman Paul Volcker) which prohibits banks from conducting proprietary trading of securities - which was alleged to be one of the key causes of the financial crisis. Mr Trump has vowed to deregulate the financial sector and Mr Powell, a former investment banker, leans in that direction as well. Judging from what he has said, he would preserve certain elements of Dodd-Frank, such as subjecting banks to higher capital and liquidity requirements, stress tests and "living wills" whereby banks have to submit a detailed process of liquidation, should they fail. But he has questioned whether other regulations are essential or can be made more efficient. In particular, he has argued that regulations be better tailored to institutions - for example, that the Volcker Rule should not apply to smaller banks which pose no systemic risk. With another investment banker, Mr Randal Quarles, having already been installed last month as the vice-chair for bank supervision at the Federal Reserve, the stage is set for the emphasis in the area of financial regulation to shift from "more" to "less" under a Powell-run Fed. This will worry those who advocate greater oversight of financial institutions and more consumer protection, but it will cheer Wall Street and financial institutions around the world. What is also interesting about Mr Powell is that he has arguably been more mindful than Dr Yellen of the impact of Fed policies on emerging market economies (EMEs). In a speech to the Institute of International Finance on Oct 12, for instance, he drew attention to the high levels of corporate debt in EMEs, noting that while it represents "a moderate degree of vulnerability" for these countries' prospects, "the situation is not alarming, but risks are significant and bear close watching, especially in China". As for Asian economies, Mr Powell has suggested that they should focus more on domestic demand as an engine of growth rather than trying to increase their external surpluses. By reducing their surpluses, they would both inject demand into the global economy and support economic growth in their region. This is basically what China is trying to do. A Powell-run Fed would approve. One of the criticisms levelled at Mr Powell is that unlike Dr Yellen, Dr Bernanke and Mr Greenspan, he is not trained as an economist - he studied politics and law. Thus, the critics suggest, he may not have as sure a hand in dealing with a crisis as some of his predecessors. However, he has spent more than five years at the Fed - as well as worked as a banker and investor, which his predecessors did not. Besides, the Fed has more than 300 PhD economists available for him to consult. An uncontroversial candidate for the Fed chair, Mr Powell will almost certainly sail through his confirmation hearings before the US Senate. He will bring continuity, competence and pragmatism to the Fed and be a worthy successor to Dr Yellen. And the markets should cheer. •This column first appeared in The Business Times.